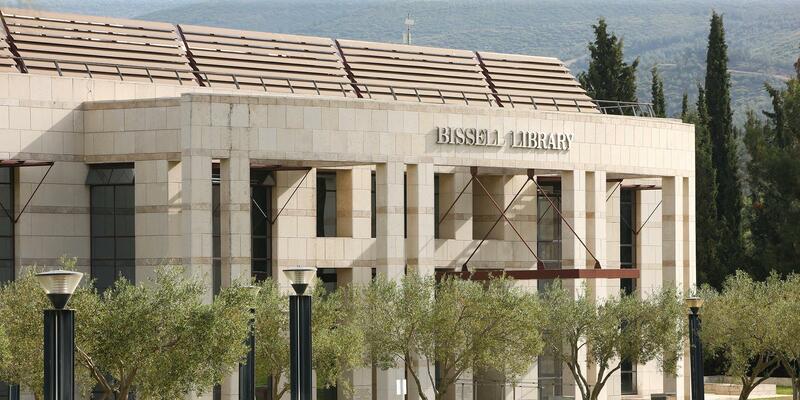 The Bissell Library American College of Thessaloniki is one of the largest private learning resource centers in Southeast Europe. Opened in the Fall of 2002, it holds one of the largest English language book collections in Greece, occupying the ground and upper levels of a 4,500-square meter building. Today, it offers a collection of over 27,000 books in print, 130,000 electronic books, DVDs and other media. Collection strengths include business, international relations, Balkan studies, communication and new media. The Library building is Wi-Fi enabled and network ports are available for laptops. Three study zones contain 250 seats and computers accessible to enrolled students, alumni, and current Bissell Library members. An additional 24 computers are located in the Library Lab, which also features an interactive whiteboard and projection system for library orientations, information literacy teaching and other ACT instruction. The Learning Hub is situated within the Library on the upper level, providing support to students in math, reading, writing or refining their digital skills. The Stavros S. Niarchos Technology Center is located in the basement level of the Library building and includes computer teaching laboratories, a multimedia center and lab, two viewing rooms, a Web and teleconferencing center, and the Systems Administration headquarters.